Lewis Hamilton's current ability to perform at such a high level in Formula 1 is down to having found happiness in life off track, reckons Mercedes motorsport boss Toto Wolff. Having achieved his fifth F1 world championship this season, with a campaign that many believed was his best ever, Hamilton was able to twin title success with non-motorsport interests such as the launch of a Tommy Hilfiger fashion collection line. Wolff thinks Hamilton's improvement as a driver is down to him having a better understanding of what he needs from life, and being content. "I think that what is happening is that he constantly develops, there is no standstill," Wolff said, when asked by Autosport about Hamilton's progress last year. "He is improving in every area. He is improving on track, he is improving off track, and his partnership with Tommy Hilfiger is very successful. It is one of the best performing fashion collections from the Hilfiger brand. "So he is building up a second pillar of activity that is more than a hobby already, and therefore that has added another building block to making him a complete sportsman. "It makes him happy. It is like the Kimi [Raikkonen] thing: it is about being happy. And if you are happy then you perform well." 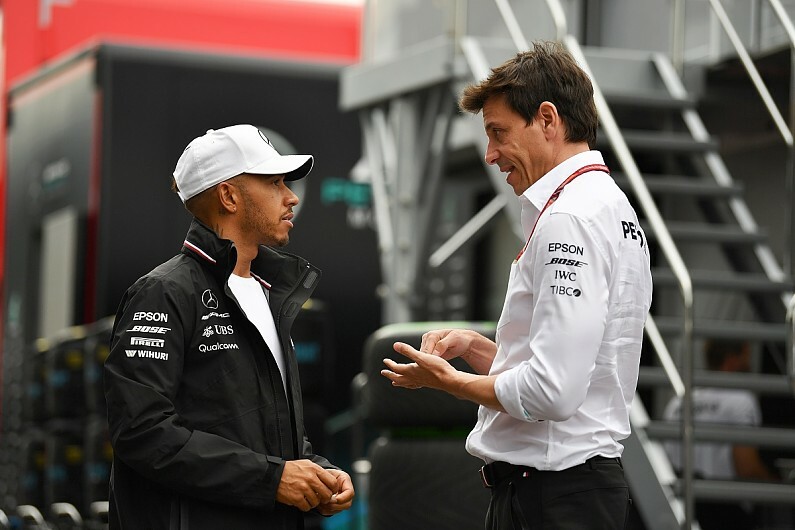 Relations between Hamilton and Wolff have not always been as good, especially during the period when tensions were high between the British driver and his previous team-mate Nico Rosberg. But Rosberg's shock retirement at the end of 2016, and a clear the air chat at Wolff's house in Oxford two years ago, transformed things and Wolff said his bond with Hamilton has never been stronger. "With Lewis, we needed our time and in hindsight, how it was with how the 2016 season ended, it gave us the best roots to grow our relationship stronger," explained Wolff. "Since then we have had mostly good moments and trust has built up. "It is important for a racing driver, for myself and for the team, that we can say that we trust each other and it is not lightly said."